You seem to have a system that hasn’t been updated much. That actually is calling for problems. As a general rule, I recommend not using AUR packages if a similar or equal official package is available. Hi there. I am affected by this in both my systems, too. It has nothing to do with a neglected system. Once again, I have no idea what pulled it in, it was not installed by me for sure. Running the command Manuel suggested showed it in the output. There s quite a long queue of messages in its AUR page and for the time being I d rather set it as ignored than going through all these messages so as to see what this is all about and what I will do about it. Much too busy and tired and out of clear mind, sorry guys. Thanks for pointing it out, @anarch. I missed this comment. I dislike the suggested clumsy solution too, and prefer to completely remove kdepimlibs4 with all its dependencies. But it might work for users, who cannot live without some Qt4 applications< which depend on kdepimlibs4. This is a typical problem with Arch based distros, and especially when using AUR packages. 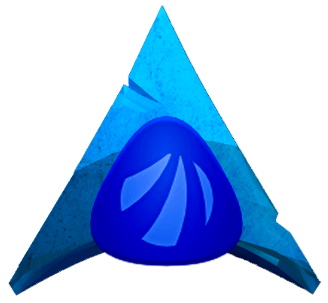 It seems that Arch (or whoever) developers sometimes “rearrange” previously official packages by putting them into AUR, so situations like this can occur. Also it seems that in these cases the AUR is considered as some kind of trash bin of old official packages, which in turn causes problems like in this thread. And this happens surprisingly often in my mind. Those packages should, at least, clearly be indicated as deprecated while updating the system. Now they are just silently ignored, unfortunately. Another somewhat related problem is using AUR packages in general. As they are not “official”, some of them are not adequately maintained. And that also causes problems sometimes. That’s why I’d always recommend not to use AUR packages if there are anything equivalent in the official packages. And sorry about this rant, this particular problem (of suddenly having deprecated packages without any warning) has bugged me so many times before. I’m fully agree and share the same point of view. AUR is not a regular Arch repo. It’s better to avoid to install anything from it. If an AUR package is installed, be ready to face problems with it, sooner or later. Do not use AUR packages, or reduce their amount to bare minimum.